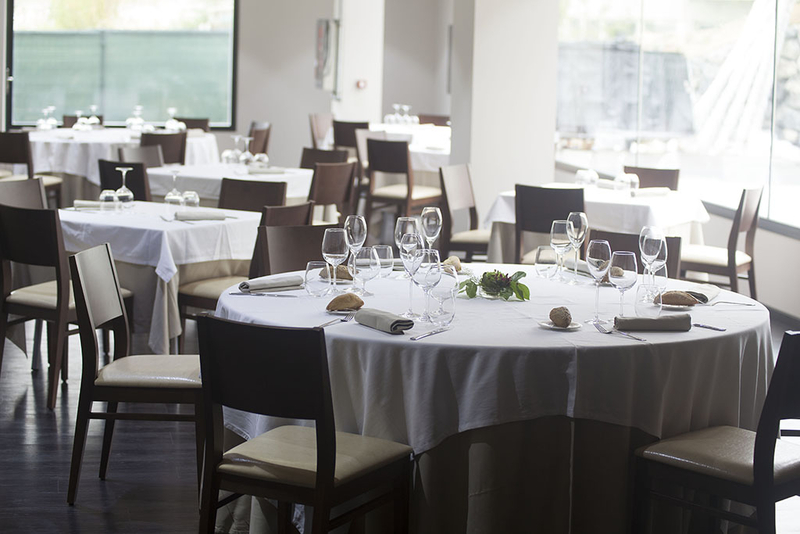 If you are looking for a hotel with restaurant in Urnieta next to San Sebastian to enjoy the best cuisine in the Basque Country, the Hotel k10´s restaurant is the best choice. We are inspired by traditional Basque sales and our head chef, Javi, strives every day to offer a varied and balanced menu of the day. As much as possible, our products are supplied by local providers, so our lettuces are from “Caserío Errekalde” in Urnieta, fish is brought from the “Lonja de Pasajes”, sheep’s milk is brought from the “Caserío Adarrazpi” in Urnieta, confectionery comes from “Casa Eceiza y Gaztelo” from Urnieta. Our restaurant offers the ideal place to celebrate any banquet whether it is for business or family celebrations. You will feel like home but without having to work. Request our special menus. Our restaurant is ideal for tourists who want to visit San Sebastian and are making a stop in their journey to enjoy a delicious lunch, as we are just 13 kilometers from the city and we have a large parking for buses. Request our special menus for groups. In the Hotel K10 restaurant you can enjoy a complete breakfast buffet, with omelettes, eggs etc. Everything is recently made. Besides, you will also enjoy a wide assortment of sausages, artisan jams, and natural juices. Due to its acoustic and thermal insulation it is the ideal place to celebrate a business breakfast.